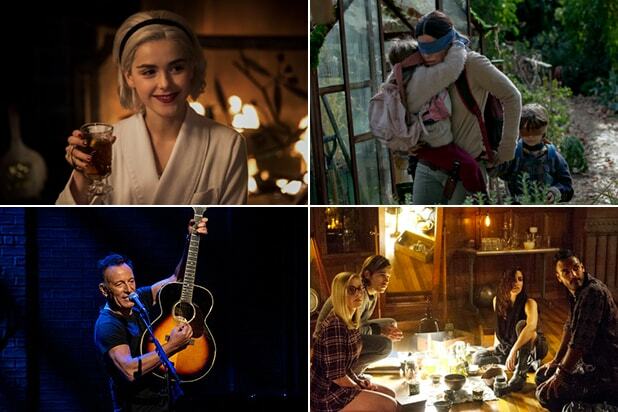 Netflix has been spending ambitiously on content, though most of the attention is paid toward its fast-growing output of original series and films. But the streamer’s deal to keep the ’90s-era sitcom “Friends” for another year proves that older series that still carry big fanbases are just as important in the high-stakes streaming wars. Sources differ on the exact price tag that Netflix paid to keep “Friends” next year. One insider with knowledge of the deal told TheWrap that it was between $70 and $80 million, while another person with knowledge of the rights-bidding pegged the deal closer to the $100 million that the New York Times reported earlier this week. “Friends” was one of Netflix’s biggest acquisitions when it announced the deal back in 2014, which was followed by Hulu’s big get of “Seinfeld” a year later — an investment that cost somewhere between $160 and $180 million. Both deals heralded that the new battlefield for syndicating old TV shows, long the main play of local stations and cable networks, was moving into streaming. Netflix’s latest “Friends” deal proves that’s still the case. As the streaming world has become more and more crowded, Netflix’s model has shifted in these past four years to favor its own productions, but the fact that it’s willing to shell out such a big chunk of change — its original deal for “Friends” cost $30 million annually, according to the New York Times — proves that streaming giants can’t rely only on subscribers liking every new show they put out. The broadcast networks, which pick up and cancel swaths of TV shows every year, can attest to that. One of the new entrants in the streaming space next year will be Warner Bros.’ parent company, WarnerMedia, which will launch its own branded streaming platform at the end of 2019. On Tuesday, Warner Bros. reminded everybody who owns “Friends,” and AT&T chief Randall Stephenson said his upcoming WarnerMedia SVOD product will likely house Ross, Rachel, Chandler, Monica, Joey and Phoebe as well. That would appear to lower the amount that Netflix would pay to keep “Friends” after 2019, since it would no longer be exclusive. All of this doesn’t even mention every streaming player currently available, including Amazon, Hulu (which Disney will own 60 percent of after the Fox deal closes) and even smaller players like CBS All Access.